Walkable, aesthetically pleasing and functional projects are part of what make them compatible with surrounding uses. The Land Use Plan provides for a wide range of land uses, including residential, industrial, office and commercial. Some land use designations and the uses permitted within them are compatible, while others have the potential to create adverse impacts. The City utilizes land use regulations, site planning and design controls to achieve compatibility. Compatibility between a wide range of uses. Land Use Decisions. We minimize adverse impacts on adjacent properties when considering land use and zoning requests. Regulation of Nuisances. We regulate the location, concentration and operations of potential nuisances. Regulation of Uses. We regulate the location, concentration and operations of uses that have impacts on surrounding land uses. Infrastructure Compatibility. We require infrastructure to be aesthetically pleasing and in context with the community character. Inter-jurisdictional Coordination. We maintain an ongoing liaison with IEUA, LAWA, Caltrans, Public Utilities Commission, the railroads and other agencies to help minimize impacts and improve the operations and aesthetics of their facilities. Transitional Areas. 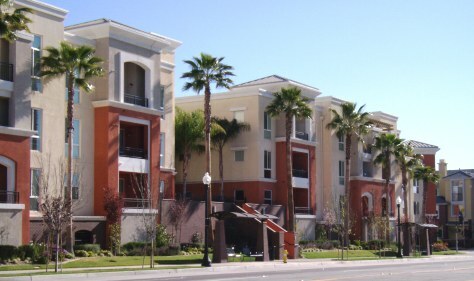 We require development in transitional areas to protect the quality of life of current residents. Methane Gas Sites. We require sensitive land uses and new uses on former dairy farms or other methane-producing sites be designed to minimize health risks.